True Blood is my current laundry-time watching, even though it's even sillier than I'd thought possible. A few days ago Iz (whose last day of school ever was today, *sob*) and I recently talked about the infinite directions True Blood silliness takes, and our discussion took an interesting tangent when she asked me what aspects of being a vampire might complicate being autistic. So I asked friends what they thought. And the discussion was so ... delicious (like, Fae blood delicious) that I just have to share some of it here (with permission of the discussants). Feel free to join the conversation! What Are Some Ways Being An Autistic Vampire Could Be, Well, Complicated? Maf Vosburgh: [Leo's] green straws would come in handy. LARP: unless you have certain powers, food literally turns to ash in your mouth. Extra sensory stuff. So many extra sensory stuff. Plus aura reading stuff. Matt Carey: I think of the hungry tiger of Oz. Too nice too eat others. What about the hungry vampire of Aus? A sensory aversion to the texture or taste of blood? Matt Carey: How about the difficulty of using hypnotic eyes when you don't like to make eye contact? Emily Paige Ballou:Also an autistic vampire might also have a very rigid moral code which would make the whole biting people thing problematic. You might have to come up with some kind of consensual blood-sharing agreement. Shannon Des Roches Rosa: This was Iz's concern. ...and the probability of being able to find those people in some of the darker corners of the internet. Shannon Des Roches Rosa: Well, she'll probably read this thread. But I'm guessing she'd find it interesting, from an intellectual perspective. Corina Lynn Becker: Yeeeeeeeaaaaah, I'm pretty sure I LARP with some of those people ... nice people, but I'm not going near some of their conversations. Emily Paige Ballou to Christine Langager: That book would've been better that way. wink emoticon. Rory Patton: Their moral code may well include having the right to bite others because their own self preservation is more important and besides some people deserve to get bitten (I have a list). Emily Paige Ballou: Vampires are supposed to be very seductive, but we tend to be bad at flirting. Jessica Banks: I have major food texture issues, and the thought of having to drink something as thick as blood makes me gag. Also, I'm not a champion sleeper, but I think I could dig that dead from dawn to dusk thing. Sunday Stilwell: My two vampires would probably love sleeping in a coffin ... all that tight, deep pressure in an enclosed space with cushy pillows. Maf Vosburgh: Leo could keep the same catch-phrase, "Can I have a bite?". Ruti Regan: My thought is: this is a question for Tumblr. Zoe Cannon: An autistic vampire who has trouble with interaction might have trouble luring victims. Zoe Cannon: A long-lived vampire might infodump about the previous eras they've lived through, and correct errors in historical fiction/movies/nonfiction. Emily Paige Ballou: ...and thus be in constant danger of giving away their secret. Corina Lynn Becker: or just be that really really really really really obnoxious history major. Steve Silberman: In-depth research on the varietal nuances of various blood types. Elizabeth Noemie Bartmess: Difficulty navigating vampire status hierarchies. Zoe Cannon: A vampire with a special interest in vampirism trying not to talk about it too much because it might look suspicious. Elizabeth Noemie Bartmess: Difficulty adjusting to fashion trends + longer life -> clothing decades/centuries out of date. Zoe Cannon: A vampire with taste sensitivities who can only stand to drink certain blood types. Emily Paige Ballou: Oh my god, there are all kinds of immunological factors that probably affect the way blood tastes to a hypersensitive autistic vampire. Alex Forshaw: Unconventional sleep pattern, not a "morning person". Kevix Mark: can there be a Buffy The Vampire Slayer reimagining with Autistic vampires? Matt Carey: Could a vampire have a pet bat and call it Squawkers McGaw? Corina Lynn Becker: if you're a vampire with a sire and other vampires, there is often some resemblance of vampire society, which means a whole 'nother set of social rules and rituals (literal and not) to learn, with other members from all sorts of time periods, soooooooooo democracy not always a thing. Seymour Rosa: Bats are naturals at flappause. So there's that. 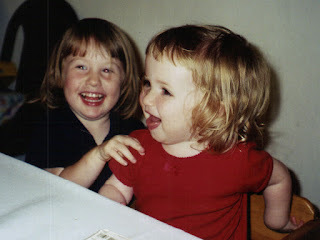 I am in denial about Iz and her cousin Danielle graduating from high school next week. And both going to colleges that, while still in this time zone, are also not very close by. Our girl has chosen to spend her last official summer at home working a lot, and also going to a few concerts. Pretty sure that's what I did, the summer before I went to UCLA. I may have also gone to the beach a lot, which was an option in the sunny SoCal of my youth, but not so much here near San Francisco, where everything coastal is foggy, rocky, shark-ridden, rip tide-beset, or some combination of the four. I suspect she will go hiking instead. Am writing about beaches as a form of postponing thinking about graduation. I don't understand how the arrival of this milestone happened so quickly. It's addling. It's upsetting. It's too much. Any advice on handling this transition (for me, not her) would be welcomed. We also have to think what to do about Iz's room: Turn it back into my office, or go the AirBNB route?